1. 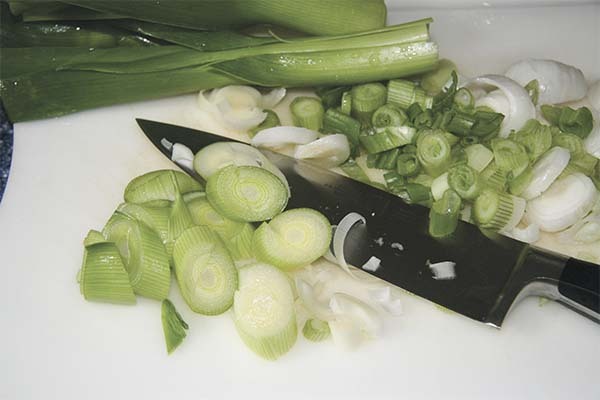 Clean the leeks and mince into 1/4-inch thick slices. 2. 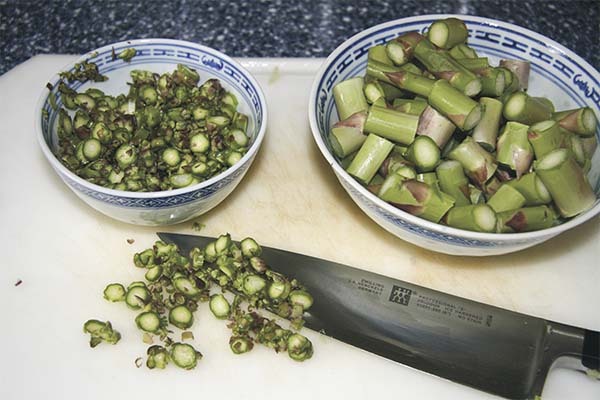 Trim the asparagus and cut diagonally into 1-inch long pieces, reserving the tips (1 inch). 3. 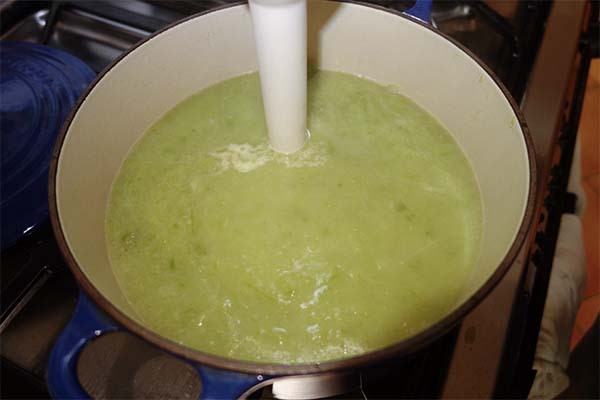 In a heavy-bottomed stock pot, melt the butter over medium heat. 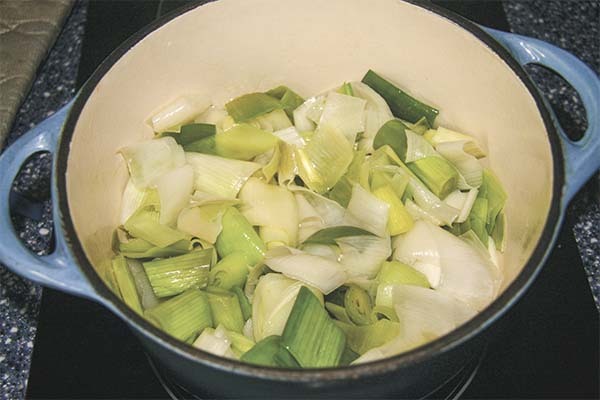 Add the minced leek and sauté, without browning, until soft and translucent, about 10 minutes. 4. Add the asparagus pieces and chicken broth. 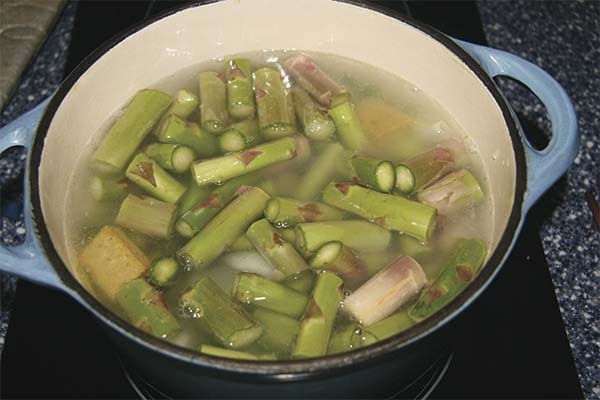 Bring to a boil over high heat, and then reduce heat and simmer until the asparagus are cooked, about 10 minutes. 5. 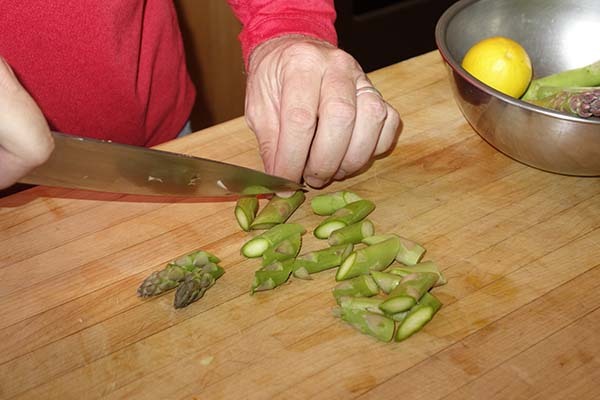 Meanwhile, mince the asparagus tips very thinly. 6. Purée the soup until smooth. Return to the pot, add the minced asparagus tips and warm over medium heat for an additional 5 minutes. Make sure the tips stay crunchy, though. 7. Prepare a citrus cream by mixing the crème fraîche with the zest and juice of the lemon. Add the minced parsley. Season soup with salt and freshly ground black pepper. Adjust consistency with additional broth if necessary. 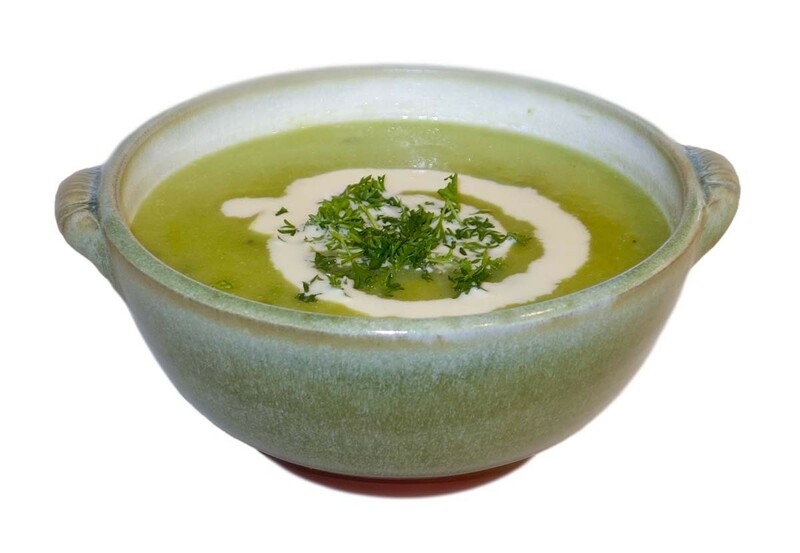 Serve in bowls with a dollop of citrus cream. The point about dairy fats is important. In my patients no matter how reassured they are, by me and others, that saturated fats are not harmful, even healthful, they have been so propagandized that they still cannot believe it is true. Remind them often: eat fat, eat fat, eat fat. Short chain fats are great for the brain and dairy fats are one of the best sources for them. Next Next post: A Little Bit of Everything?